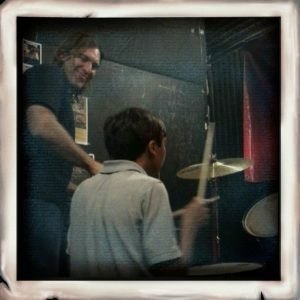 Drum Lessons Your Kids Will Thank You For! Music has the ability to completely transform a child’s life. 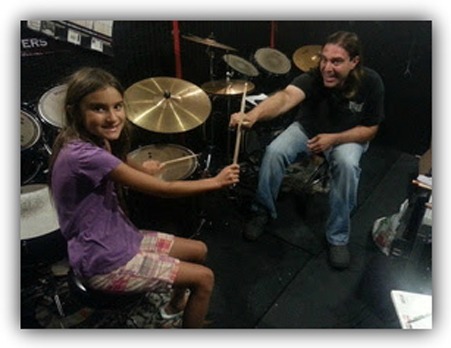 Your child’s drum lessons here are both FUN and educational. They will be playing the music they love while learning the techniques and coordination required to play the drums. This enhances their problem-solving skills, self-confidence, and creativity. Practicing won’t seem like a chore because they are having a blast. Even if they are already involved in school music programs, the individual attention from our lessons together will accelerate their learning for technique and musical concepts. This can lead to higher seating placements in their school orchestra and extracurricular opportunities in honor orchestras. My name is Stefano Ashbridge and I love sharing the art of playing the drums. I have taught hundreds of private and group lessons to students of all ages and skill levels. No problem if you don’t have a drum set. I have everything we need to get started with a fully equipped studio in a positive learning environment and flexible hours. The lessons can be recorded so your child can track their progress over time and develop the discipline of reaching their goals. Parents are welcome to sit in on the lessons. This is what parents and students have to say. I went in knowing nothing about drumming, and I am now a member of my high school varsity drumline. Stefano makes learning fun and is always available by phone or email if I have any questions. I started out with Stefano as an intermediate drummer not knowing what to expect, and I've gotten a lot better since then. He has helped me to improve my timing. I love a challenge and if you're looking for one, Stefano is the guy to go to. Stefano is a great, fun teacher for all levels of drummers. It makes a world of difference when you have a teacher that genuinely wants the best for their students. Stefano is definitely the one to go to. He's a true drummer. Stefano is so understanding and always helpful. Stefano is an amazing drum teacher. He teaches in such a manner that is not threatening or condescending, yet uplifting and positive. He is patient, yet understands that the student wants to just hammer away and make lots of noise so he mixes the basics with permission to let loose. My son learned to play the double bass pedal during his first lesson. No one teaches that! I can't say enough nice things about Stefano and his teaching methods. He is patient and very educated in the art of drumming. You will learn the basics of drumming as well as share in the love he has for music. Stefano Rocks!! 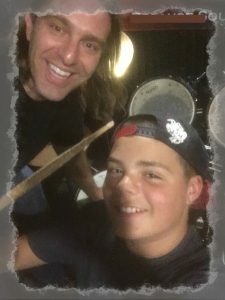 Stefano has really helped me focus my playing and technique to be a better drummer, and musician. Stefano is the only reason I still play drums. In a very short time with Stefano, I felt confident on the drums. Knowing how to drum properly has made drumming more enjoyable than I could have ever imagined and I sincerely could not have done it without the tutelage of Stefano. 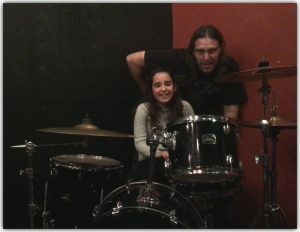 I think that Stefano is a great teacher- not just a great drum teacher but a wonderful teacher and a terrific person. He is always prepared, patient and professional. Here are just some of the benefits of taking lessons here. * Lunchtime lessons for homeschoolers, retirees, college students, and working professionals. If you are a homeschool parent, retiree, college student, or working professional who has a flexible schedule, take advantage of lunchtime lesson spots. * A waiting area lounge. You can wait for your child in the waiting area or if you prefer, you can sit in on their lesson anytime. Wi-fi is available in the building. Alternately, the studio is centrally located close to shopping centers for your convenience. * Track your child’s progress. We will use practice logs along with custom-tailored exercises and booklets so you can see how your student is coming along. Lessons can also be recorded. * Opportunities to play with others. I offer periodic group drum jams so that your child can experience playing with other musicians. Music lessons are offered year round for steady long-term progress. * Life skills through music. It is my mission to teach students more than academic musical skills. I want to instill discipline, dedication, and problem-solving skills. Music is an enriching part of a balanced education. Lessons are first come-first served. Contact me today to arrange your first lesson. 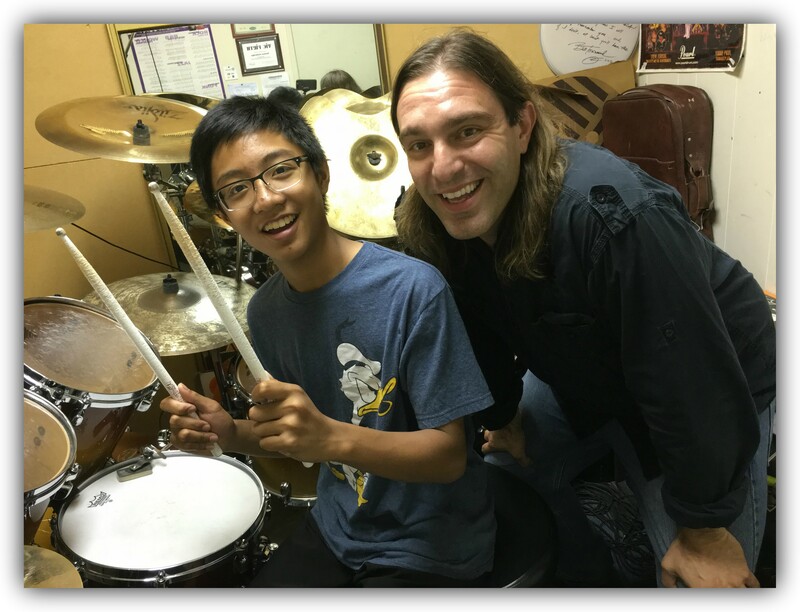 Offering quality drum lessons in the Los Angeles, California area.